Today, our young girl Heartstrings Little Miss Sunshine made a visit and, well, brought some sunshine. At 12 1/2 months old this is a big ask from a young Dogue and we are incredibly proud of her. 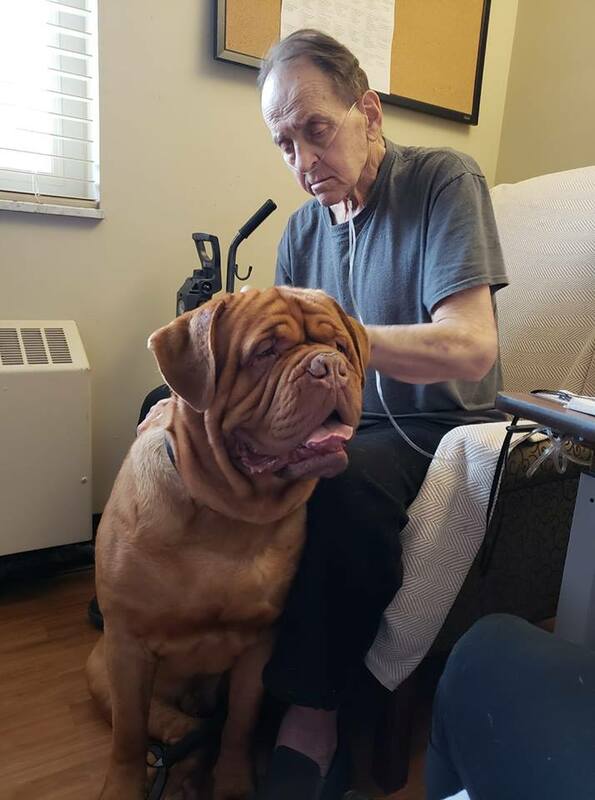 Traditionally an area dominated by Labs and Goldens, we are very satisfied to have produced an unprecedented number of Dogue de Bordeaux earning Therapy Dog and Service Dog certifications. Hundreds of hours logged in hospitals, children’s hospitals, nursing homes or assisting their owners with activities of daily life such as carrying shopping bags, alerting blood sugar levels or pulling a cart. No question it is thrilling and exciting to see one of our Dogues run out on the green carpet at Westminster. Or watch them on television at a big show covered by networks. But highest praise and props to these Heartstrings Heroes who do their jobs quietly, faithfully, without fanfare on a daily basis. It is an indescribably deep, rich feeling of pride.